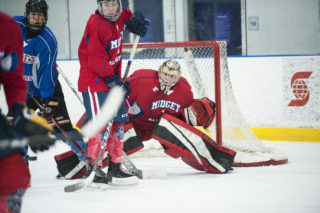 After a half dozen years dragging hockey bags through various rinks across the GTHL, one question continues to intrigue me: How will my child remember his minor-hockey experience? My son Alex is like a majority of boys and girls who suit up across the city, a good player but not destined for hockey stardom. They play for the love of the game and for the lifelong friendships they’ll establish. A few he may encounter will go on to bigger things but there aren’t any guarantees. What should be guaranteed are the life lessons our children emerge with once their time in the GTHL has run its course. Ask your child now what they fondly remember from their hockey journey. The obvious answers will likely be the game-winning goals they scored and the championships they’ve won, but the memories formed at out-of-town tournaments and wise cracks in the dressing room will be just as prominent. It all begins with the parents – instilling a love for the game and a respect for all those who play it. Winning is good and we all strive to be the ones hoisting the big trophy at the end of the season, but the lessons taught by responsible parents and coaches will linger long after the championships and medals fade from memory. 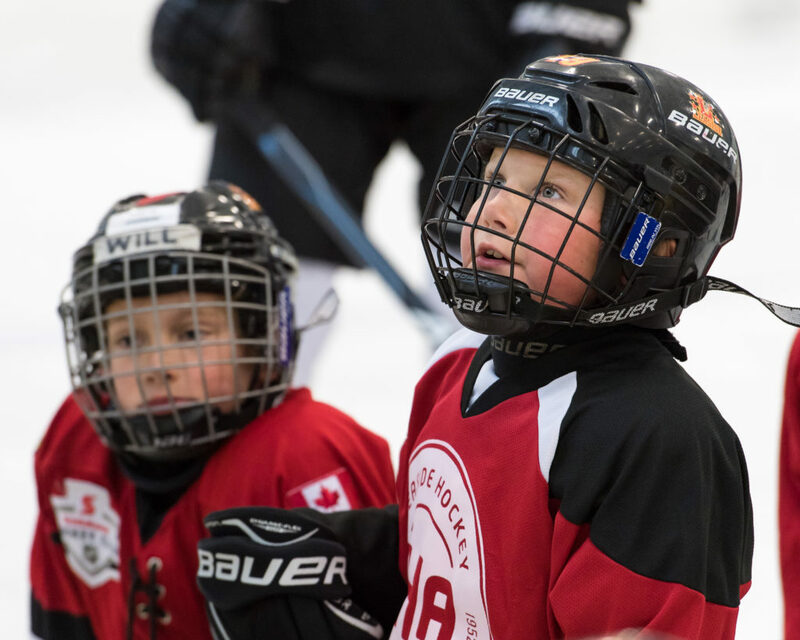 While most parents involved in minor hockey are good people, there are those individuals who stand out because of their focus on the things that matter most. Danny Ferri is one example. His son Julio Ferri plays for the Toronto Royals’ Atom “A” squad. Ferri is like most Canadian hockey parents: he shows up at a frosty arena at all hours of the day, often after putting in long hours at his construction job to cheer on the team. He wants to see his son score a goal and the team win like every parent does, but Ferri is coming at the entire hockey experience from valuable perspective. Life lessons are being taught on the rinks of this country, experience that enables our children to stand in good stead as they skate through life and Perri, who is called a ‘personal coach’ by his son, wants to ensure Julio understands this. Regardless of the score, regardless of whether it’s a game, a practice, or a paid skills session, Ferri insists that Julio thank his coaches and instructors for their time and effort. While it may not seem like a lot, it’s a gesture that is appreciated by the men and women who take time out of their busy lives so that our children can experience this great game. Respect was a word consistently heard in a conversation with Ferri. Respect your teammates, respect your opponents, respect the officials and coaches and respect your family that faithfully cheers you on after driving to the rink. There was one instance where an opposing player was hurt on the ice and Julio skated over to retrieve the player’s stick and returned it to the opposing coach. In a game chock full of highs and lows, it was a brief moment that resonated with both teams. Call it sportsmanship, call it manners, or call it respect – it illustrated the leadership skills are coming in loud and clear. Pat Carafa is one of the team’s assistant coaches and calls Ferri “a breath of fresh air”, a representation of a time where we weren’t obsessed with chasing the dream. When we laced up and took to the ice with the only concern: the game at that particular moment in time. There’s nothing wrong with dreaming, but we should never permit it to overshadow why we are there. Carafa says Ferri oozes with passion for the game and it’s his perspective that plants the seeds to be sowed years from now. It’s this sense of community and love of the game that brings us back season after season. Ferri has noticed all the parents, grandparents, aunts, uncles, brothers and sisters at the rinks. With arenas captivating so much of our personal time, children tend to grow up at the rink. In that case, it’s best to be mindful of the teachings they’re learning in the process. Maybe 15 years from now Julio will be standing behind the bench of his own team. With this passion running through his veins, it’s this foundation that will embody a coach you’ll want your child to play for. Next time you’re at the arena, say hello to the parents you haven’t seen in a while. Make sure your child does the same to former teammates. We’re all on the same journey and we’re part of the hockey family. Respect matters and a little gratitude can go a long way.